Lettuce is affected by a number of pests. Be especially on the lookout for cabbage worms, loopers, aphids, and armyworms. Lettuce that is harvested in the spring has fewer problems with diseases. However, fall and summer crops may attract a number of pests as pest larvae have had a chance to develop during the warmer weather. As far as diseases, fungal diseases are sometimes a risk for your lettuce crop. Look for problems with damping off, sclerotinia, and mildews. To avoid these problems, use an organic fungicide, and avoid over watering. A good way to deal with over watering is to use a drip irrigation system or a soaker hose. Bolting is a common problem with lettuce that causes flowers and seeds to grow and the lettuce to taste slightly bitter. It is caused by hot and sunny conditions. It affects many plants in the cabbage family as well. You can also use companion planting for your lettuce to reduce problems with bolting. Sweet corn makes a good companion plant for lettuce as it will shade the plants during the hottest months of summer. Read more about bolting at this website from Iowa State University. See our list of lettuce diseases and pests below for tips on recognizing and treating common problems with lettuce. The following is a list of common insects that attack lettuce and how to deal with them. Please refer to this excellent website from Arizona University for more information and some great photos of common pests that affect lettuce crops. Aphids are tiny insects that will cause wilting on the plant. You can look for a sticky fluid on the leaves commonly called “honeydew.” The insects vary in color from yellowish to light green. Aphids also carry diseases that may affect your lettuce, so definitely deal with them as soon as you see evidence of their presence. Try blasting your plants with a high pressure hose, or use an organic insecticide. Also, keep your garden weed free, as aphids can make their homes in weeds as well. These insects will eat the stems and leaves of lettuce. Armyworms vary in color from brown to green and have black spots. Cutworms are a little lighter in color. Try picking them off by hand or use an organic pesticide. Loopers that attack lettuce include the Alfalfa Looper, Autographa californica and the Cabbage Looper, Trichoplusia ni. These are dark green worms that are quite thin. Look for dark stripes. They are called “loopers” as they crawl by making a loop, much like an inch worm. Organic pesticides with Rotenone are excellent organic pesticides that will work on your lettuce to kill loopers. This is one of the most common garden pests in the U.S. This pest eats the head of your lettuce. They are oval shaped and have black, yellow, and brown markings. See this website from the USDA for lots of info on this common garden pest and some photos. Alfalfa crops attract the tarnished plant bug to your area so you may have problems if you or your neighbors grow alfalfa. Use an organic fertilizer immediately when you find this pest in your garden. These pests are more a problem for seedlings than for adult lettuce plants. They are yellow and have black spots. They usually get no larger than 8 millimeters long. They are also hosts to a number of diseases including bacterial wilt and cucumber mosaic virus. Lettuce is especially at risk when you grow cucumbers in the same vegetable plot. Read more about this pest at the National Sustainable Agriculture website. Here’s a list of common diseases and other problems that can affect lettuce and how to deal with them. You can read more about lettuce diseases at this University of Arizona website. This fungal disease can survive in garden debris of infected plants or in the soil. Therefore, it’s best to destroy infected plants as soon as possible as the disease can be present even if the plant is dead. Don’t compost infected plants! The disease can remain present in the soil for several years. Extremely moist conditions will attract the fungus. Keep foliage dry when possible. There are lettuce varieties that are resistant to the disease, so ask at your local nursery for disease resistant seeds if you live in an area of the country with a lot of rainfall. Bolting is a common problem with lettuce that causes flowers and seeds to grow and the lettuce to taste slightly bitter. Bolting is caused by hot and sunny conditions. 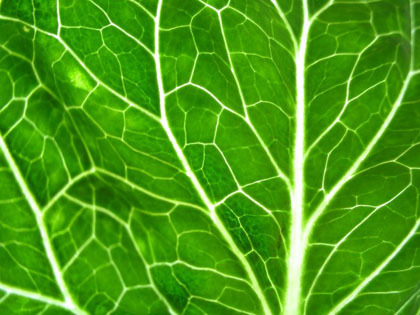 It affects many plants in the cabbage family as well. You can use companion planting for your lettuce to reduce problems with bolting. Sweet corn makes a good companion plant for lettuce as it will shade the plants during the hottest months of summer. Read more about bolting at this website from Iowa State University. This is a fungus that attacks mature lettuce in poorly-draining soil. Look for areas of necrosis on both the stems and on lower leaves. In other words, keep an eye out for brown, dying spots. The lettuce will also become wilted and start to decay. Add compost to your soil before you plant lettuce to ensure proper drainage. Try using a soaker hose or drip irrigation to avoid over watering. Damping off is another soil-based fungus. This disease is mostly a concern for your young lettuce plants. As the fungus lives in the soil, the disease can start to take effect when your seedlings are still in the ground. 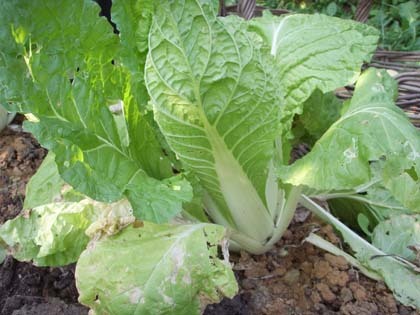 Look for water-filled spots and plant wilting as the lettuce starts to mature. Damping off occurs most frequently when conditions are wet and damp. Make sure you have well draining soil, and try using drip irrigation or a soaker hose to effectively irrigate your plants. This disease gets its name from the downy patches that form on the underside of the leaf as the disease matures. Another telltale sign is yellowing on the upper leaf surface. The disease is fungal, and when you see the downy deposits, it will soon spread by spores. Once infected, the lettuce will eventually turn brown and die. Keep your garden weed free as this disease can live on weeds around and in your garden, even through winter. Moist conditions exacerbate the problem, so try using drip irrigation or a soaker hose to keep the foliage dry. Look for disease resistant varieties of lettuce to further combat this disease. Try out a organic fungicide to treat problems with downy mildew as well. Aphids can play a role in transmitting this virus. Do your best to keep aphids off your lettuce. When young plants are affected by the mosaic virus, the leaves will start to curl and their will be a light brown discoloration along parts of the leaf. Keep your garden weed free to reduce habitat for aphids, and control aphids as soon as they appear. Remove plants that show signs of this disease immediately and destroy them. Try out a natural Neem Seed Oil pesticide to get rid of aphids. Varnish Spot is a bacterial disease found in the soil. This is a pretty uncommon disease for most home gardeners, so you’re unlikely to have problems with it. Look for dark brown spots on the leaves. It usually attacks on the inner leaves of lettuce, making it hard to spot. Frequent crop rotation can help avoid this problem. This disease is present in the soil and can survive the winter on garden debris from your lettuce crop. All the more reason to do a thorough cleaning of your garden once you’ve harvested your crop! This disease affects young plants especially. Look for rotting, water-filled tissue on your lettuce plants. This disease is mostly present in cooler, wet weather.